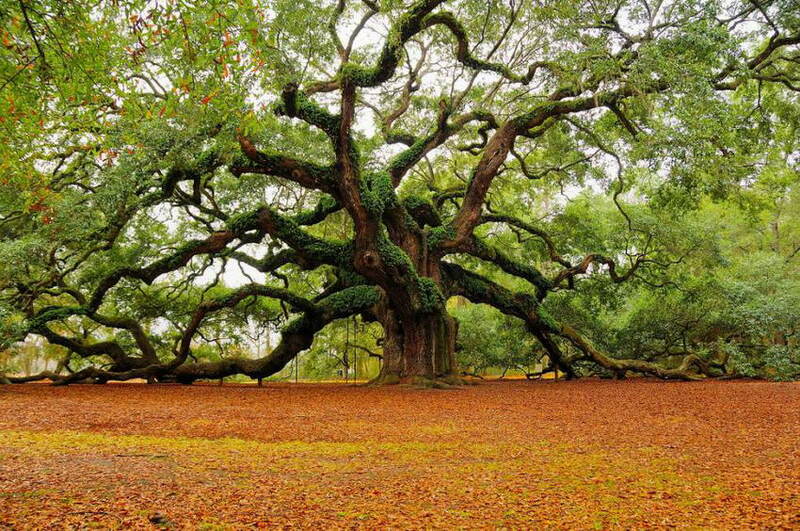 An amazing Oak Tree… well known “hardwood”. This is just a quick science lesson for the day. What is the difference between “Hardwood” and “Softwood” trees? Well, it really has nothing to do with the wood being hard (dense) or soft (not dense), although that is where the terminology likely began. Hardwood trees are angiosperms (flowering plants)… also known as broad-leafed trees, and they are mostly deciduous (lose their leaves in the winter). Hardwoods typically cook hotter and longer. Hardwoods typically are used in furniture, flooring, musical instruments, and veneers. 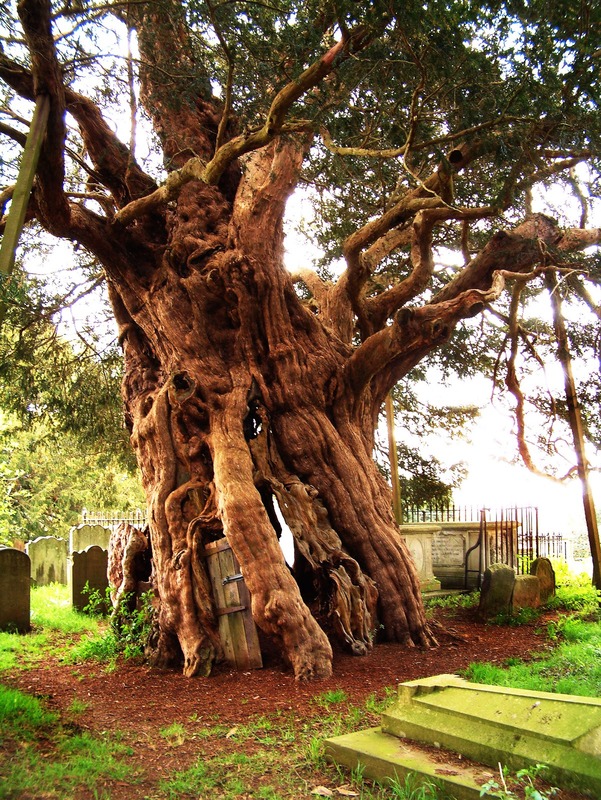 A very old Yew Tree… a “softwood” species. Softwood trees are gymnosperms (plants that have seed with no covering… “naked seeds”)… also known as conifers that are evergreens (keep their leaves, or needles, in the winter). Softwoods comprise most of the world’s timber supply. This is because they grow faster than hardwoods and can be quite strong.